Revision rhinoplasty is a procedure performed to repair or correct a previous nasal surgery. As revision rhinoplasty procedures are significantly more complicated than primary nasal surgery, it is vital to seek a surgeon with specific expertise and training in revision rhinoplasty. 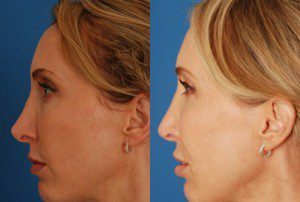 Double Board Certified in both Facial Plastic and Reconstructive Surgery as well as Otorhinolaryngology-Head and Neck Surgery, Dr. Bassichis is uniquely qualified to simultaneously improve the appearance of the nose as well as nasal function. There are three types of dissatisfaction that may result in revision: functional problems hindering breathing, aesthetic problems relating to appearance, or a combination of both. Aesthetic complications of rhinoplasty can include noses that are too short, too long, too narrow, too wide, twisted, etc. We understand that being dissatisfied with your primary nasal surgery can be a very difficult experience – physically and psychologically. Some patients are frustrated, angry, and even a little scared. Our Facial Plastic and Reconstructive Surgeon Dr. Bassichis and staff understand this and will take the time to listen to your concerns to help you achieve a successful outcome from your revision surgery. With Dr. Bassichis’ experience and expertise in primary and revision nasal surgery, he can provide an honest analysis and opinion regarding what you can expect from your revision procedure. We utilize digital photography and computer imaging to help visualize and communicate surgical outcomes. It is important for the surgeon to know what the patient wants to accomplish, and the patient must know what the surgeon envisions as a goal for the surgical result. Computer imaging is an extremely useful method for the surgeon and patient to align their thoughts about the procedure. 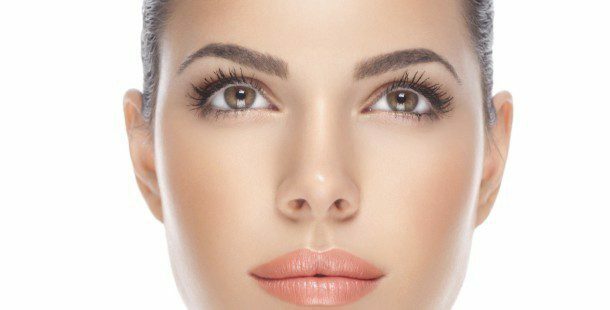 Specializing exclusively in facial plastic and reconstructive surgery, patients who have had previous rhinoplasty elsewhere are often referred to or individually seek out Dr. Bassichis for revision surgery. Although many patients want immediate adjustments to the original surgery, we recommend waiting six months to one year before after the initial surgery prior to undergoing revision. Throughout the healing process following a rhinoplasty, features refine and define as the swelling resolves. With careful visual and photographic examinations, Dr. Bassichis will provide support and reassurance throughout the healing period. Revision rhinoplasty procedures performed to correct nasal function may be partially covered by insurance, while those performed solely for cosmetic purposes are typically not covered by insurance. Personally mentored by one the world’s most respected Revision Rhinoplasty surgeons, Dr. Bassichis is pleased to share his expertise with his patients. This fellowship training in the most delicate techniques of revision surgery and his extensive clinical experience performing many primary and revision nasal surgeries, make Dr. Bassichis distinctively qualified for performing revision surgeries. We invite you to come for a personal consultation with our double board-certified Facial Plastic and Reconstructive Surgeon regarding revision surgery. It would be our pleasure to take wonderful care of you for your revision nasal procedure. Please click the photo below to be immediately connected to our REVISION RHINOPLASTY PHOTO GALLERY.